For other people named Richard Jewell, see Richard Jewell (disambiguation). Richard Allensworth Jewell (born Richard White; December 17, 1962 – August 29, 2007) was an American police officer and security guard. While working as a security guard for AT&T, he became known in connection with the Centennial Olympic Park bombing at the 1996 Summer Olympics in Atlanta, Georgia. Discovering a backpack filled with three pipe bombs on the park grounds, Jewell alerted police and helped to evacuate the area before the bomb exploded, saving many people from injury or death. Initially hailed by the media as a hero, Jewell was later considered a suspect. Jewell's case is considered an example of the damage that can be done by media reporting based on unreliable or incomplete information. Discovered planted pipe bomb at Centennial Olympic Park during the 1996 Summer Olympic Games in Atlanta, Georgia, United States and helped evacuate people from the area before the bomb exploded. He was later falsely accused of planting the bomb himself and later was exonerated by an FBI investigation. Despite never being charged, he underwent a "trial by media" with great toll on his personal and professional life. Jewell was eventually completely exonerated, and Eric Rudolph was later found to have been the bomber. In 2006, Governor Sonny Perdue publicly thanked Jewell on behalf of the State of Georgia for saving the lives of those at the Olympics. Jewell died on August 29, 2007 of heart failure from complications of diabetes at age 44. Jewell was born Richard White in Danville, Georgia, the son of Bobi, an insurance claims co-ordinator, and Robert Earl White, who worked for Chevrolet. Richard's parents divorced when he was four. His mother remarried, to John Jewell, an insurance executive, who adopted Richard. Jewell was married to Dana Jewell. Centennial Olympic Park was designed as the "town square" of the Olympics, and thousands of spectators had gathered for a late concert and merrymaking. Sometime after midnight, July 27, 1996, Eric Robert Rudolph, a terrorist who would later bomb a gay nightclub and two abortion clinics, planted a green backpack containing a fragmentation-laden pipe bomb underneath a bench. Jewell was working as a security guard for the event. He discovered the bag and alerted Georgia Bureau of Investigation officers. This discovery was nine minutes before Rudolph called 9-1-1 to deliver a warning. Jewell and other security guards began clearing the immediate area so that a bomb squad could investigate the suspicious package. The bomb exploded 13 minutes later, killing Alice Hawthorne and injuring over one hundred others. A cameraman also died of a heart attack while running to cover the incident. Early news reports lauded Jewell as a hero for helping to evacuate the area after he spotted the suspicious package. Three days later, The Atlanta Journal-Constitution revealed that the FBI was treating him as a possible suspect, based largely on a "lone bomber" criminal profile. For the next several weeks, the news media focused aggressively on him as the presumed culprit, labeling him with the ambiguous term "person of interest", sifting through his life to match a leaked "lone bomber" profile that the FBI had used. The media, to varying degrees, portrayed Jewell as a failed law enforcement officer who may have planted the bomb so he could "find" it and be a hero. A Justice Department investigation of the FBI's conduct found the FBI had tried to manipulate Jewell into waiving his constitutional rights, by telling him he was taking part in a training film about bomb detection, although the report concluded "no intentional violation of Mr. Jewell's civil rights and no criminal misconduct" had taken place. In a reference to the Unabomber, Jay Leno called him the "Una-doofus". Other references include "Una-Bubba," and (of his mother) "Una-Mama." Jewell was never officially charged, but the FBI thoroughly and publicly searched his home twice, questioned his associates, investigated his background, and maintained 24-hour surveillance of him. The pressure only began to ease after Jewell's attorneys hired an ex-FBI agent to administer a polygraph which Jewell reportedly passed. 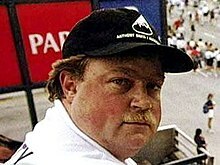 In October 1996, the investigating US Attorney, Kent Alexander, in an extremely unusual act, sent Jewell a letter formally clearing him, stating "based on the evidence developed to date ... Richard Jewell is not considered a target of the federal criminal investigation into the bombing on July 27, 1996, at Centennial Olympic Park in Atlanta". After his exoneration, Jewell filed a series of lawsuits against the media outlets which he claimed had libeled him, primarily NBC News and The Atlanta Journal-Constitution, and insisted on a formal apology from them. L. Lin Wood was the lead attorney in all of Jewell's libel cases. In 2006, Jewell said the lawsuits were not about money, and that the vast majority of the settlements went to lawyers or taxes. He said the lawsuits were about clearing his name. Jewell filed suit against his former employer Piedmont College, Piedmont College President Raymond Cleere and college spokesman Scott Rawles. Jewell's attorneys contended that Cleere called the FBI and spoke to the Atlanta newspapers, providing them with false information on Jewell and his employment there as a security guard. Jewell's lawsuit accused Cleere of describing Jewell as a "badge-wearing zealot" who "would write epic police reports for minor infractions." Piedmont College settled for an undisclosed amount. Jewell sued NBC News for this statement, made by Tom Brokaw: "The speculation is that the FBI is close to making the case. They probably have enough to arrest him right now, probably enough to prosecute him, but you always want to have enough to convict him as well. There are still some holes in this case". Even though NBC stood by its story, the network agreed to pay Jewell $500,000. On July 23, 1997, Jewell sued The New York Post for $15 million in damages, contending that the paper portrayed him in articles, photographs and an editorial cartoon as an "aberrant" person with a "bizarre employment history" who was probably guilty of the bombing. He eventually settled with the newspaper for an undisclosed amount. Jewell also sued the Atlanta Journal-Constitution newspaper. According to Jewell, the paper's headline, FBI suspects 'hero' guard may have planted bomb, "pretty much started the whirlwind". In one article, the Atlanta Journal compared Richard Jewell's case to that of serial killer Wayne Williams. The newspaper was the only defendant that did not settle with Jewell. The lawsuit remained pending for several years, after having been considered at one time by the Supreme Court of Georgia, and had become an important part of case law regarding whether journalists could be forced to reveal their sources. Jewell's estate continued to press the case even after Jewell's death but in July 2011 all of its claims were ultimately rejected by the Georgia Court of Appeals. The Court concluded that "because the articles in their entirety were substantially true at the time they were published—even though the investigators' suspicions were ultimately deemed unfounded—they cannot form the basis of a defamation action." Although CNN settled with Jewell for an undisclosed monetary amount, CNN maintained its coverage was fair and accurate. In July 1997, U.S. Attorney General Janet Reno, prompted by a reporter's question at her regular weekly news conference, expressed regret over the FBI's leak to the news media that led to the widespread presumption of his guilt, and apologized outright, saying, "I'm very sorry it happened. I think we owe him an apology. I regret the leak." Also in 1997, Jewell made public appearances in film and television. He appeared in Michael Moore's 1997 film, The Big One. He had a cameo in the September 27, 1997 episode of Saturday Night Live, in which he jokingly fended off suggestions that he was responsible for the deaths of Mother Teresa and Princess Diana. On July 4, 2001, Jewell was honored as the Grand Marshal of the Carmel, Indiana's Independence Day Parade. Jewell was chosen in keeping with the parade's theme of "Unsung Heroes." On April 13, 2005, Jewell was exonerated completely when Eric Rudolph pleaded guilty to carrying out the bombing attack at the Centennial Olympic Park, as well as three other attacks across the South. On August 1, 2006, Georgia governor Sonny Perdue honored Jewell for his rescue efforts during the attack. Jewell had worked in various law enforcement jobs, including as a police officer in Pendergrass, Georgia. He worked as a sheriff's deputy in Meriwether County, Georgia until his death. He also gave speeches at colleges. Jewell died August 29, 2007, at the age of 44. He was suffering from severe heart disease, kidney disease, and diabetes. In 2014, Fox announced that they had secured the filming rights to Marie Brenner's 1997 Vanity Fair article "American Nightmare: The Ballad of Richard Jewell" with Jonah Hill signed on to play Jewell and Leonardo DiCaprio set to play his attorney. In April 2019, Clint Eastwood was attached to direct the project. While Hill and DiCaprio are no longer attached to star in the film, they will serve as producers. There is a small bridge named in his honor east bound Georgia Highway 82 between Mile Markers 15 & 16 (Waycross to Tifton). ^ a b c d e Brenner, Marie. "American Nightmare: The Ballad of Richard Jewell". ^ "The Ballad of Richard Jewell". Vanity Fair. February 1, 1997. Retrieved July 22, 2016. ^ a b c d e f Weber, Harry R. (August 30, 2007). "Former Olympic Park Guard Jewell Dies". Associated Press in The Washington Post. Security guard Richard Jewell was initially hailed as a hero for spotting a suspicious backpack and moving people out of harm's way just before a bomb exploded, killing one and injuring 111 others. But within days, he was named as a suspect in the blast. ^ "Anthrax Investigation (online chat with Marilyn Thompson, Assistant Managing Editor, Investigative)". Washington Post. July 3, 2003. ^ National Journal Global Security Newswire (August 13, 2002). "Anthrax: FBI Denies Smearing Former US Army Biologist". Archived from the original on April 19, 2005. Retrieved September 28, 2006. ^ a b Sack, Kevin (August 30, 2007). "Richard Jewell, 44, Hero of Atlanta Attack, Dies". New York Times. Richard A. Jewell, whose transformation from heroic security guard to Olympic bombing suspect and back again came to symbolize the excesses of law enforcement and the news media, died Wednesday at his home in Woodbury, Ga. He was 44. The cause of death was not released, pending the results of an autopsy that will be performed Thursday by the Georgia Bureau of Investigation. But the coroner in Meriwether County, about 60 miles southwest of here, said that Mr. Jewell died of natural causes and that he had battled serious medical problems since learning he had diabetes in February. ^ "U.S. Says F.B.I. Erred in Using Deception in Olympic Bomb Inquiry". The New York Times. April 9, 1997. ^ "CNN - Jewell wants probe of FBI investigation - July 30, 1997". ^ "The Activities of the Federal Bureau of Investigation (Part III)". ^ "60 Minutes II: Falsely Accused". 60 Minutes II. CBS Worldwide. June 26, 2002. Retrieved August 2, 2006. ^ Corliss, Richard (June 24, 2001). "Time Magazine: From Fame To Infamy". TIME Magazine. TIME. Retrieved August 29, 2007. ^ "Jewell cleared of Olympic park bombing". CNN. October 26, 1996. ^ a b "Ex-Suspect in Bombing Sues Newspapers, College; Jewell's Libel Claim Seeks Unspecified Damages". Washington Post. January 29, 1997. Archived from the original on October 20, 2012. Retrieved July 16, 2008. ^ a b c CNN,"According to CNN"CNN, January 28, 1997. ^ "Jewell settles with college". Lakeland Ledger. August 27, 1997. Retrieved May 5, 2010. ^ Ostrow, Ronald J. (June 13, 2000). "Richard Jewell Case Study". Columbia University. ^ "Richard Jewell Files Suit Against The Post". Dow Jones. July 24, 1997 – via The New York Times. ^ Weber, Harry (August 30, 2007). "Former Olympic Park guard Jewell dies". USA Today. Retrieved April 18, 2013. ^ "The wheels of justice". ^ "FindLaw's Court of Appeals of Georgia case and opinions". ^ "Commentary: Don't name 'person of interest' - CNN". CNN. September 17, 2009. ^ "Reno to Jewell: 'I regret the leak'". CNN. July 31, 1997. ^ "Weekend Update: Norm interogates Richard Jewell". ^ "Jewell Finally Honored As A Hero | wgrz.com". Gannett via WGRZ. August 2, 2006. Retrieved September 22, 2012. ^ Perdue, Sonny (August 1, 2006). "Governor Perdue Commends Richard Jewell". Office of the Governor of the State of Georgia. The bottom line is this – Richard Jewell's actions saved lives that day. He deserves to be remembered as a hero," said Governor Sonny Perdue. "As we look back on the success of the Olympics games and all they did to transform Atlanta, I encourage Georgians to remember the lives that were spared as a result of Richard Jewell's actions." ^ Brenner, Marie. "American Nightmare: The Ballad of Richard Jewell". ^ Fleming Jr, Mike (February 4, 2014). "'Wolf Of Wall Street's Leonardo DiCaprio & Jonah Hill Plan Re-Team In Story Of Richard Jewell; Labelled Hero, Then Falsely Vilified As Bomber At 1996 Atlanta Olympics". Deadline.com. ^ Fleming Jr, Mike (April 18, 2019). "Clint Eastwood Circling 'Ballad Of Richard Jewell' For Fox/Disney". Deadline.com. Retrieved April 20, 2019. Farnsworth, Elizabeth (October 28, 1996). "OLYMPIC PARK: ANOTHER VICTIM". PBS NewsHour. "'All I did was my job': Decade later, pain of being called bombing suspect fresh to Richard Jewell". NBC News/Associated Press. July 27, 2006.